You must keep your teeth and braces spotlessly clean. We recommend a small single tufted brush in addition to normal brushing. Brush your teeth after every meal. Pay special attention to the area between the brace and the gum. Disclosing tablets will help you see any areas that you are missing. You must avoid sweets, sugary snacks (eg. biscuits) and especially fizzy drinks and ‘sports’ drinks and even “diet” drinks. Failure to do so will result in permanent and unsightly enamel damage. We recommend that all drinks should be non-carbonated and sugar free. Water is best! Mouthwashes containing fluoride will reduce the risk of enamel damage. We recommend daily rinsing with a mouthwash which contains 0.05% or 225 ppm fluoride. The brand name is not important but the fluoride concentration is. Your brace is strong, but it will not withstand abuse by eating hard, sticky and crunchy foods. All sweets must be avoided. Cut your food up into smaller pieces and take more time over eating. Slice apples, grate carrots etc. Any breakage will prolong your treatment. After your brace has been fitted, your teeth may feel tight and uncomfortable. This soon eases. Take paracetamol or ibuprofen if required. This should not be necessary for more than a few days. The appliance may feel a little sharp or prominent to start with. Your lips and cheeks soon get used to this and any discomfort should pass after the first few days. Place the wax provided over any bits of the brace that are rubbing. Hot salt mouthwashes may help. It is vital that you attend for your routine, scheduled appointments. Failure to do so will cause significant delays to your treatment and damage to your teeth may result. It is your responsibility to ensure that you have made your next appointment before leaving the practice. 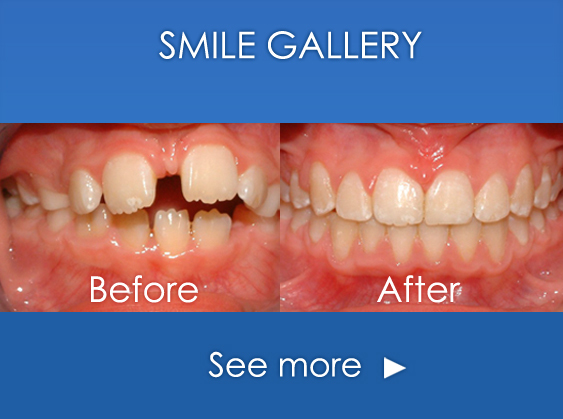 If you have a breakage or other problem, contact the practice. An appointment will be given if necessary. On occasions you may be advised just to keep your next appointment. A loose bracket is NOT an emergency. If it is rubbing your cheek, a small piece of sugar free gum or wax over any rough edges may make things more comfortable until you can attend the practice.